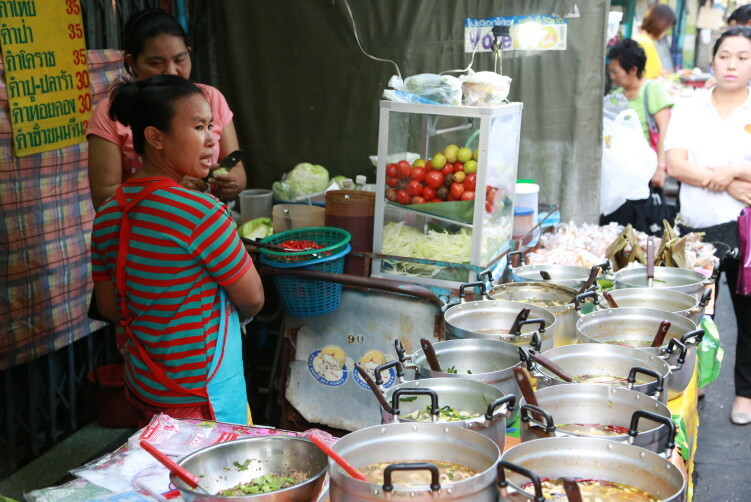 Hidden between the modern shopping area of Siam and Victory Monument, in the Phaya Thai neighborhood, you find Phetchaburi Soi 5 where a street food feast will be waiting for you. The variety of options are good. And even better, it’s still very much a local community giving authenticity also to the food scene. Phetchaburi Road stretches out from the very east side of Bangkok and all the way to the west side of the city, and it can be one of your true nightmares if you find yourself in the back seat of a taxi rush hours. The good news is that you don’t need the car support to get here as the BTS is more than sufficient for the purpose, if you can manage 6-7 minutes of walking. 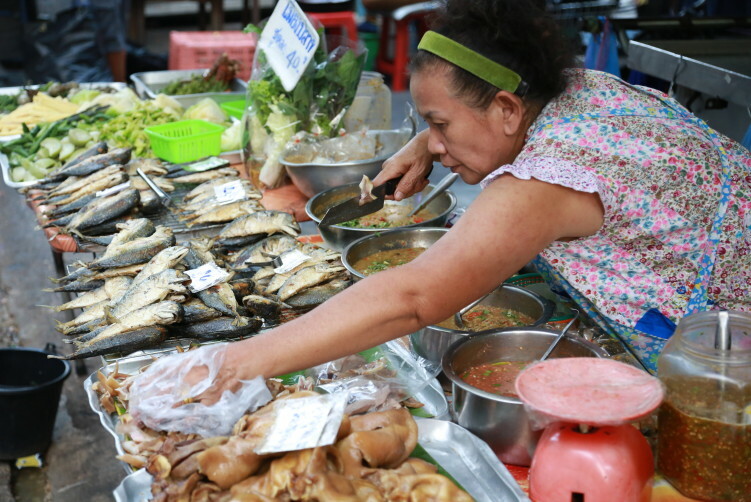 Soi 5 is both a daytime and evening fix with plenty of options, including, fruit, noodles, stir fries, snacks, curries and a variety of meat and fish for the grill. As it is a neighborhood area, prime time is evening after 5 p.m. when a lot of new stalls open up to start serving people coming home from work. That also means that most hawkers and vendors are pure take away options, but some vendors also have a few tables outside. 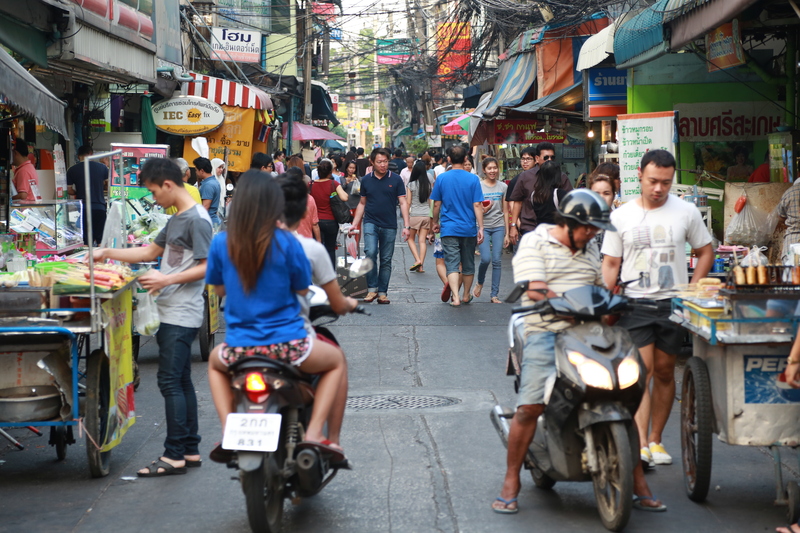 200 meters down the Soi, you find the street connecting Soi 5 and Soi 7, and thats were you find more for your evening satisfaction. And your preferred options for the evening should include P’Aor with plenty of dishes on the menu, but with the Tom Yam Kung/Phla (shrimp/ fish) as natural stars and cholesterol bombs that will satisfy you in a way you never thought a soup could do. Expect to que a few minutes in the evening. Seating inside. 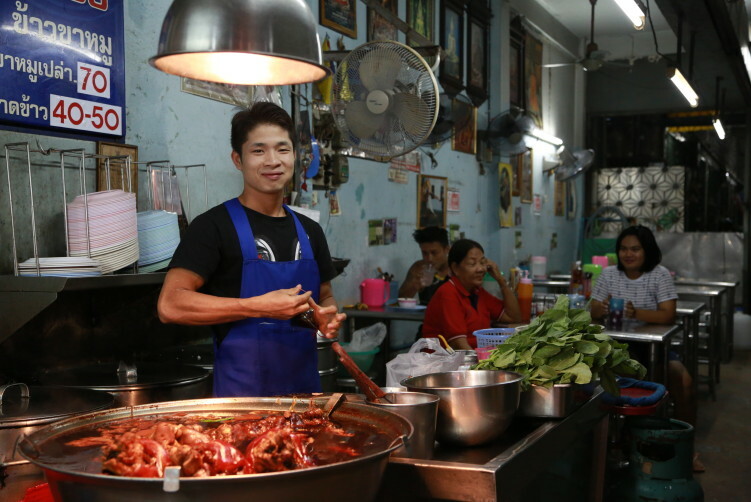 A daytime preferred option is the family selling juicy and tender pork knuckles at Soi 5 at number 239 on the left side. They have tables to sit down inside and away from the sun. The paralleled Soi 7 is more of your area if searching for Halal food. With the Darul Aman Mosque nearby, there is a vibrant Muslim community in the area. But also Thai-Chinese families living in old shophouses is common here, bringing Chinese influence to some of the neighborhood vendors. 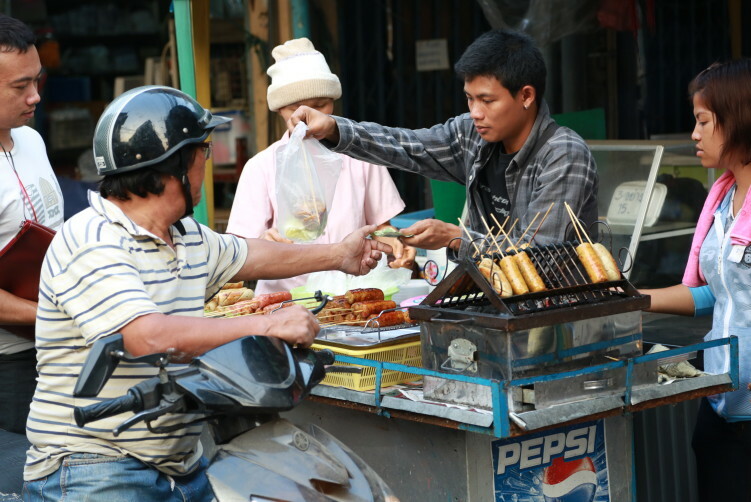 Food: Thai street food and some small shop houses with menus. order now Open: All day, but most lively at evenings after 5 p.m.
order now Address: Phetchaburi Soi 5, including the connecting street between Soi 5 and 7. 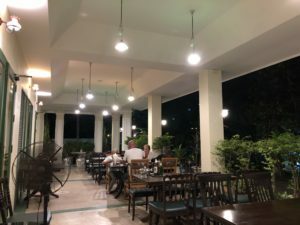 For Muslim food check out Soi 7.
buy now How to get there: Take the BTS skytrain to Ratchathewi station, take exit #3, then continue north for about a 100 meters and take to the left when coming to Petchaburi Road. Cross the road under the bridge just after entering Petchaburi Road and walk until you get to Soi 5, then turn right.